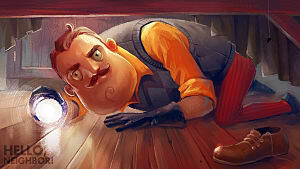 Although this creepy stealth entry failed to reach its funding goal on Kickstarter, that didn't stop the persistent development team, which is now plugging along with Hello Neighbor in alpha and a summer 2017 full release currently expected. 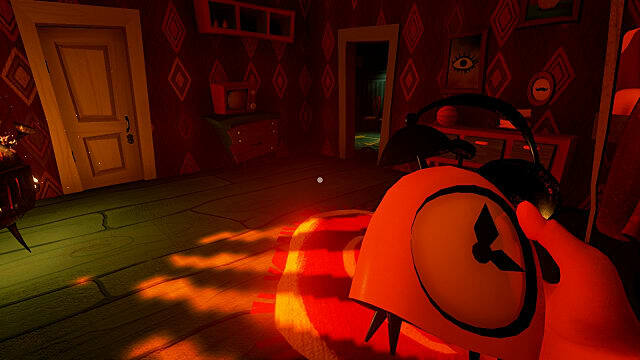 The odd deadpan style mixed with cartoonish visuals will reminds players of We Happy Few meets Wallace and Gromit. 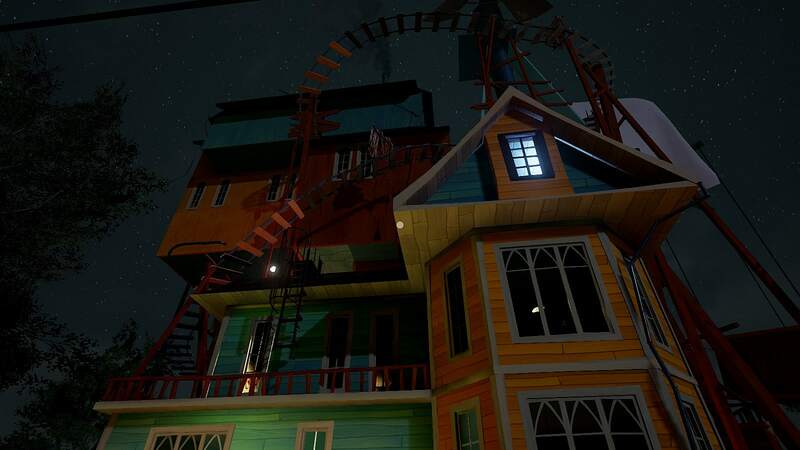 Like with We Happy Few, the game is currently more about the potential of what's to come than what is actually available in these earliest builds. 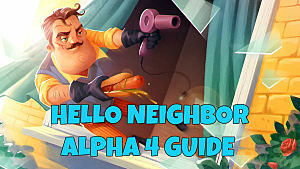 Those who have jumped on the alpha build might be baffled at first as there's no explanation of what to do and no menu screen explaining the controls: you are dumped onto a street and expected to figure it all out on your own. 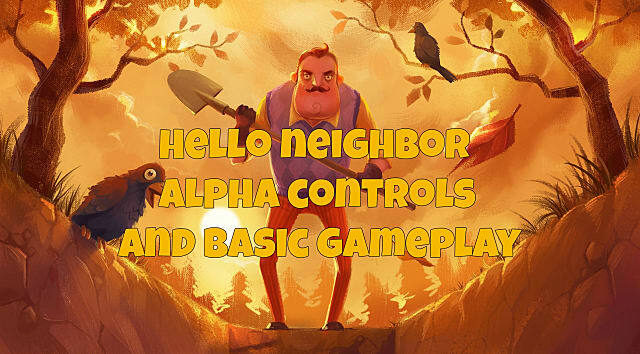 If you don't fancy a lot of dying through trial and error, below we cover all the currently functioning controls and the basics of how to stay alive while investigating your nefarious neighbor's home. 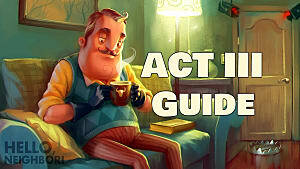 IMPORTANT: This information is current as of Alpha Build 3, and is subject to change as new builds are released. It's important to note that (as of this alpha build anyway) the "use item" functionality is very limited and doesn't seem to have proper animations associated yet. For instance, left clicking winds the alarm clock while you hold it, but there's no prompt or on-screen indication that you've actually done it properly. You just have to set it down, walk away, and then a few seconds later the alarm will start going off. Now that you've got the controls down, it's time to start exploring the house! 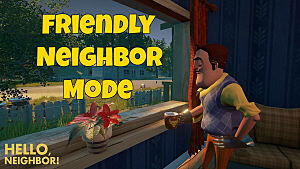 Stay alert for audio / visual cues when the neighbor is near and when he's spotted you, increasingly getting louder as the screen blurs black. These audio cues show up even if he's in a different room or you don't physically see him yet. The first order of business is getting past a nasty bear trap blocking the front door. 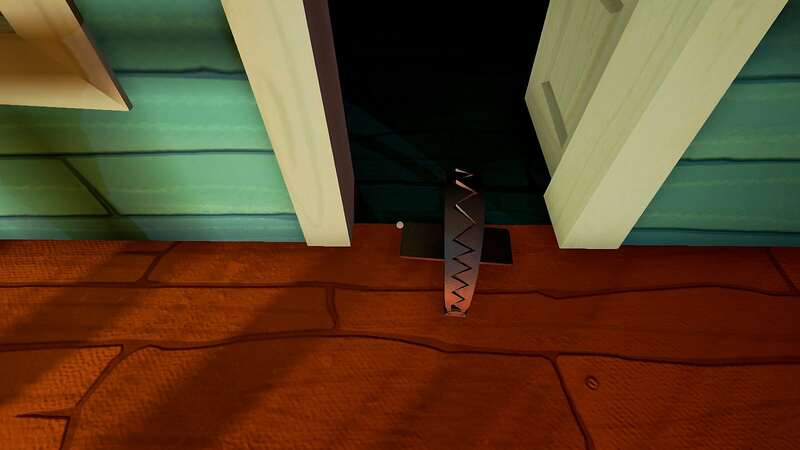 Throw an object like a glue bottle at the bear trap to get through -- but remember he will reset it eventually, so keep an object on hand at all times. 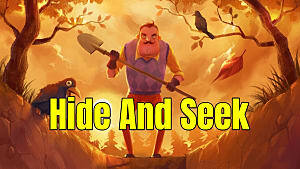 While inside, stay crouched down, keep away from light sources, and take note of cabinet locations so you can quickly hide. 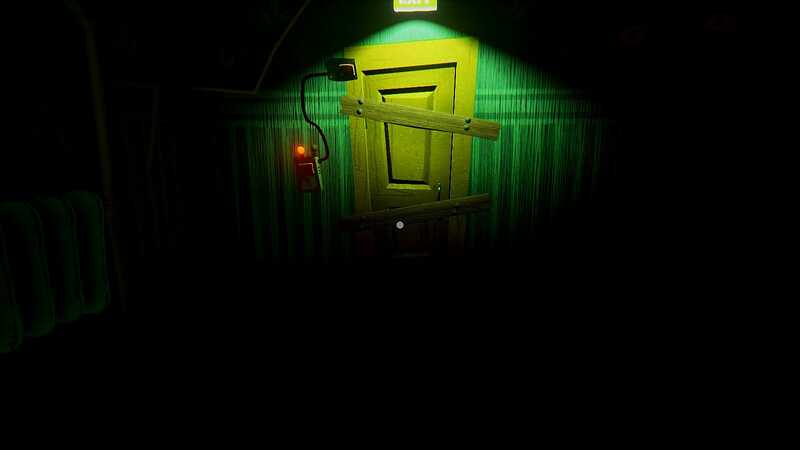 Keep in mind that most doors open towards you, not outwards, so if you are too close to the door when pressing E it won't actually open. 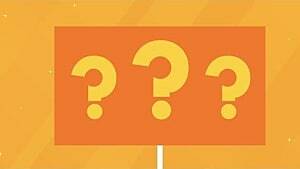 Having trouble getting into the front door the first time to start opening other entrances? 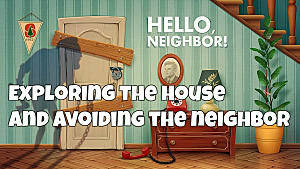 Lure the neighbor out by throwing something loud at the bear trap (or using the alarm clock), then run back to your house and wait. Eventually he'll leave out the front door and head to the back yard, letting you inside to start your search. What's he got hidden down there? 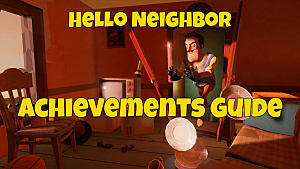 That's the basics of what you need to know to begin unraveling the mystery of just what's going on in the neighbor's basement! 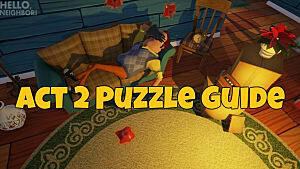 Stay tuned for more guides coming soon on how to use each object correctly and reach the end of the game!